My breakfast this morning was extra y.u.m! I found an extra canister of Vega Chocolate Proteins & Greens in my cupboard and thought I should start using it before it got weevily. 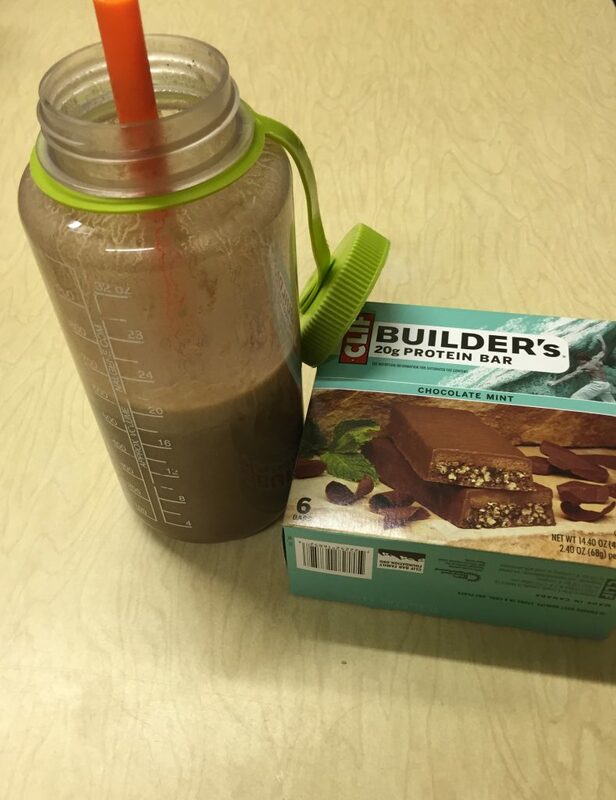 And I already have been using Shakeology that I got last summer, trying to use it up, so I had an extra scoop of chocolatey goodness in my already delicious drink. It’s like having dessert every single morning to start the day. Today, wow. It was even more than super good! With a whole tray of ice, a can of chocolate breakfast drink, a whole frozen banana, peanut butter, a scoop of each of the protein boosters , , , together it tastes just like 3-4 Snicker bars mixed up in the Blentec. I’m pretty sure I can safely rule out that it is healthy or that the calorie count would be something to be proud of. I don’t know what it is about chocolate that makes everything better. I do know that I have stormed through the house on occasion screaming, has anyone got some chocolate? if I find any, I stuff it down without really even enjoiying it. It’s like a desperate compulsion to save my life, or something. And once I’m done, I realize I’ve somehow survived and everything is fine, but until that very moment of recognized survival, I’m like a crazed woman. At this moment I can almost identify with mad cow disease. Pretty sure I’ll need to spend a full 60 minutes on the tread this afternoon instead of just 30.